Round 2 of Nerdlution has surfaced as a reminder that January's nerdlutions are ready to turn into February's realities. Sometime during this month, I read that January is the month for dreamers, while February is the month for doers. As a newbie nerdlutioner, I started my journey with one word, resolute. This led to another word, openness. I was resolute in my intent to create spaces to grow as a learner. With my new Fitbit, I tracked my time exercising. 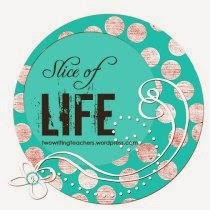 During those active moments, I pondered life and next steps on life's journey. Thoughts swirled around in my head while exercising and subsequently grew into blogs and PowerPoints for educational trainings. With this energy, tweets increased and new learning occurred through various links. In the spirit of continuing to grow as a learner, I decided it was time to stretch myself beyond the comfort zone. Watching the mini-series, Klondike, provided a new thought to use during the next challenge. 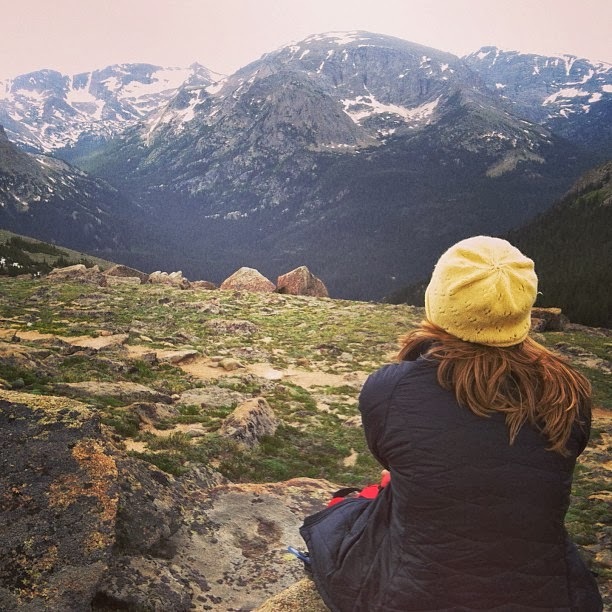 "With a pocketful of hope," I am resolute to stretch both mind and body to find new spaces and connections. Not until tonight at yoga practice, did I find the perfect words to round off my nerdlution quest. The gentle voice of the yoga teacher, released three little words that floated in air as gifts to me. I heard stretch, stillness, awareness and knew that my next fifty days would be spent stretching and opening spaces in body and mind to find the stillness that will lead to awareness. With awareness, I will be more open to new learning and perhaps change, continuing to grow as a learner. If I can remain purposeful in my intent, I will become a faithful yogi, using body, mind, and spirit to continue on my journey. Lifelong learning is a process and awareness will be my one little word, one step on the path leading to insight, discernment, and continued learning. With a pocketful of hope I can become one of the 8% of Americans who achieves her New Year's resolutions. As with Round 1 of the original nerdlution,I will follow these tips from an article I read by Dr. Bufka. Ultimately, with a pocketful of hope, I will make it to Nerdlution, Round 3. Links body, mind, and spirit. In a state of perfect chi. Shiver me timbers! When could be more entertaining that a dress up party for the launch of the first transcontinental NYEDChat and TLAP online chat last night. It may not have been the Golden Globes or the Bammy Awards, but it was a celebratory event just the same. The lead pirate, Dave Burgess, author of the well-know professional text, Teach Like A Pirate, brought together an amazing cast of pirates from coast to coast to sail his PIRATE ship. Along with Dave, three members of the moderating team, Vicki Day, Carol Varsalona, and Blanca Duarte, dressed in high seas' garb, brought a sense of revelry to the launching of the East meets West online connection. Co-host, Tony Sinanis of the Bammy Award for Elementary Principal fame, charted the course while the moderating team of Bill Brennan and Starr Sackstein cheered from their quarters on land. When East met West on January 27, 2014 there was no ceremonial golden spike as on May 10, 1869, the day that marked the completion of the first transcontinental railway. What occurred last night during the linking the #nyedchat and #TLAP professional learning communities was a celebration of educational Voice. Fun was in the house. Rapid fire conversations, cross-tweeting, and an amazing flow of thoughtful answers were the fare of the day. While the Twitter chat flowed online, the team in the photos above enjoyed "hanging out" on Google as Dave's first mates and firing replies to the parade of questions posted by the evening's moderator, Tony Sinanis. As the ship set sail, Shipwreck Tag was offered to lure tweeps on land to join the conversation. Pam Moran, among others, heard the call and jumped on board, while Tom Whitby could only send his regards. Throughout the chat, technology rocked the ship back and forth with Tweet Deck, Tweet Chat, and Twitter providing the platforms for the firing of Qs and the reporting of A 1s to A 6s. To navigate the sea of responses that were floating in the Twittersphere, multiple screens were used by the crew, a phenomenon unbeknown to the pirates of yesteryear. Thanks to the craftsmanship of the lead pirate, Dave Burgess, the ship that set sail at 9:00 pm EST disembarked one hour later, laden with a rich bounty. Gold coins were not plundered during the trip. Instead, golden words for a week of charting new waters in education were captured from the take away booty. East and West Coasters left, voices linked in unison and map in hand to chart new waters to bring passion to the classroom. 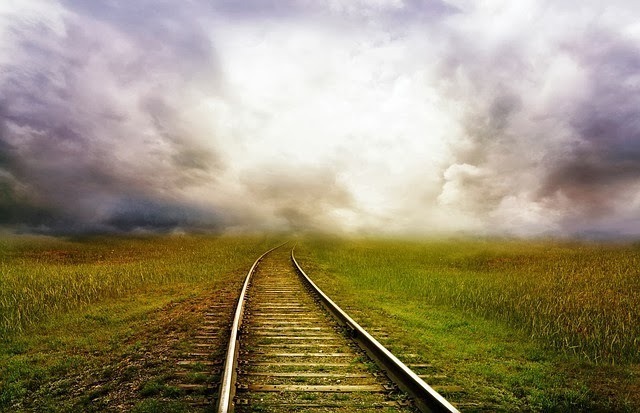 History.com notes that the linking of the east and the west upon completion of the first transcontinental railroad was the "realization of a dream." So too, the virtual connection of East and West Coasters was the realization of a linked world of passionate and committed educators who look beyond the dream to reality. Aye, I believe all would agree that our sail last night was worth the trip and that a pirate's life is grand. Signing off, until we meet again. In a world that welcomes multi-tasking, there is little time to pause and feel the stillness within. With January approaching its close, most people have engaged in the traditional ritual of stepping back and reflecting while penning resolutions or nerdlutions. Some sought new paths while others began a journey inside themselves. But how many took the time to enjoy the overlooked opportunities of the first month of the year? January, while providing a short respite after the hurried holidays, is a time to pause, reflect, and renew. Its thirty-one days are devoted to the creation, following through, and sometimes abandoning of resolutions. Hidden deep inside its long, cold winter days, change can occur. With a reflective stance and the ability to pause, you can linger a while in the present, finding the stillness within. "Movement is only as good as the sense of stillness that you can bring to it, to put it into perspective." "It is only by stopping movement that you can see where to go." I pondered those thoughts, linking them to my one little word for 2014, openness. Then, in the stillness of the room, I paused to write. As I looked inside at a journey I created, movement intersected reflection. Doors opened and insight walked through, clothed in stillness. January is coming to a close but my attempt to be resolute in spirit will not. Stopping the shifting tasks to savor the moment will be my next step and pausing will be my guide as I find stillness within. Will I succeed? As we say in yoga, it is yoga practice, not yoga perfect. My goal is not perfection so if I forget to pause, I have my family to remind me. May your end of January days lead you on a journey to pause and savor the moment. When I first heard of the TLAP (Teach Like A Pirate) phenomenon, I wondered, "Pirates in Education! Really?" Little did I know that there could be a "good" connotation to the word, pirate. The "aha" moment followed after virtually meeting Dave Burgess, the pirate-teacher himself, during two different Twitter chats. I credit all to my #nyedchat co-moderators, Vicki Day and Tony Sinanis, who had the good sense to facilitate book studies and Twitter chats using Teach Like A Pirate as the core for generating active discussions about teaching. With each chat that I engaged in, I felt a certain comfort with the notion of pirates in education. Linking this with a warm, engaging memory of Disney World's Pirates of the Caribbean exhibit, solidified the image. Pirates are passionate risk takers setting their course and moving full speed ahead with gusto toward their treasure. Dave Burgess, the lead learner of the pirates in education community, brings a zest for learning to the classroom in his book, Teach Like A Pirate. His thoughts empower teachers to become risk-takers and innovators. As they artfully hone their craft, they dig deep into lessons, make learning come alive, and in turn, empower students to become lifelong learners and meaning makers. Dave Burgess, an inspirational teacher and speaker, delivers a powerful message on transforming the classroom into a powerful place of teaching and learning and brings a fresh look to what education has to offer young learners. With a handful of hope (phrase taken from the mini-series, Klondike) and a genuine desire to grow #nyedchat into the Voice of New York State, I pursued the NYEDChat Moderating Team's dream to reach out, connect, and bring notable figures in the education and Twitter worlds to our bimonthly chat forums. 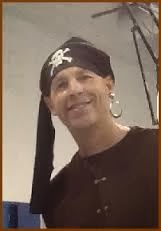 Dave Burgess, wishing to spread passion for teaching and learning, agreed wholeheartedly to co-host a chat with us and so the story of #nyedchat hosting its first transcontinental network connection with the lead pirate of education unfolded. Intrigued by the prospect? 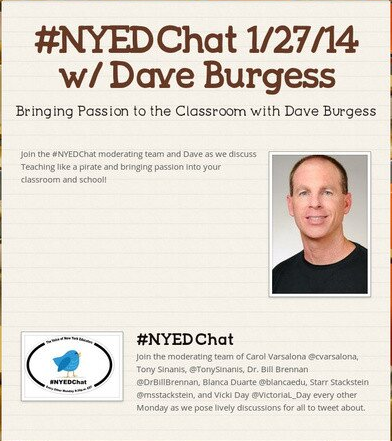 Tune in to #nyedchat on January 27, 2014, 9:00 EST for a conversation with Dave Burgess, author, teacher, and pirate extraordinaire. #nyedchat will combine with #TLAP (teach like a pirate PLN) to broaden its scope and connections across the states. Be brave. Be daring. Even if you are not a tweeter, you can lurk and learn with the NYEDChat and Teach Like A Pirate professional learning networks. For first time tweeters, following the Twitter conversation as a lurker allows access to fast-paced thoughts without having to worry about tweeting. There will be no walking the plank on Monday night, only perching on the edge of your seat to capture thoughts on how to "increase student engagement, boost your creativity, and transform your life as an educator." 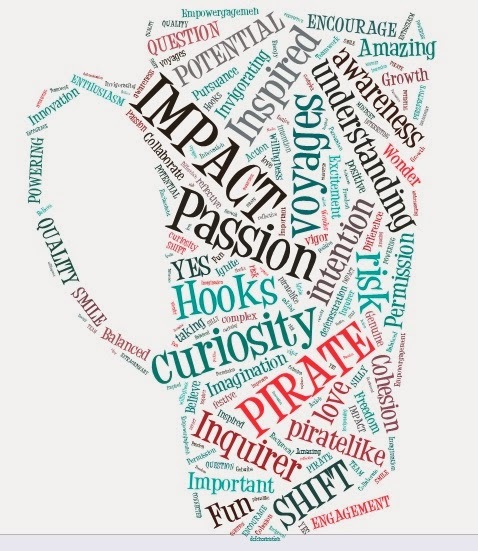 (from Teach Like A Pirate book cover) Join the NYEChat Moderating Team of Bill Brennan, Vicki Day, Blanca Duarte, Starr Sackstein, Tony Sinanis, and me, as we don our pirates hats and connect with Dave Burgess on January 27th from 9:00-10:00 PM EST. From East to West, NYEDChat connections will broaden, bringing topics of interest to our viewers. Reminder: On Monday night, go to twitter.com and type in the hashtags #nyedchat and #tlap to become a spirited pirate of teaching and learning. There are those Americans who blaze trails, opening doors for new possibilities, whose words echo throughout the land, and who courageously act to bring about change. Martin Luther King, Jr. was one such man. His courageous thoughts and deeds impacted others during a time of unrest in America. On January 20, 2014, America paused to reflect upon the contributions of this national hero whose charismatic style and sense of advocacy for equality and equity caused him to be immortalized in history. In a complex, 21st century world, the words of King ring true in American education as a beacon of hope for those seeking balance in a diverse world. Almost forty-six years after King's assassination, topics of equity and equality are still the focus in American educational systems. Students marginalized by their ethnicity, cultural backgrounds, abilities, and perspectives, face bullying, isolation, and underachievement. Multi-faceted issues nag at the core of equal access to education, creating rifts and gaps in the path. Social, emotional, and academic learning is valued as an pathway for finding solutions to the perplexing issues in present-day American education. With the call for action at hand, administrators and teachers continually seek the path from the dream to reality for advancement in education. While we can no longer stand in the presence of Martin Luther King, Jr., we can reflect upon his message, honor his words, and be prompted to ready all youth for college or career. 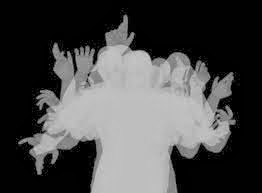 John Blake of CNN News noted that many Americans think of King as a "one dimensional figure" due to an unfamiliarity with the variety and depth of his many other speeches. Upon a closer look at King's messages, it is evident that his strength of character was visible. From the iconic pictures of Dr. King at the Smithsonian Collection to the 1962 uncovered MLK speech recording at the New York State Museum, Martin Luther King, Jr. will be remembered for building one of the cornerstones in American history. As we mark the days after the celebration of this American hero, it is important to reflect upon Kings's words that can lead educators to revitalize the system and to equalize the playing field. 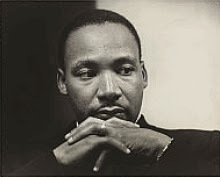 As King said, "The function of education is to teach one to think intensively and to think critically. Intelligence plus character - that is the goal of true education." With this goal in mind, we, as educators, can assist students to become critical thinkers of the 21st century, filled with character and propelled by the tenets of social, emotional, and academic learning. We can build this world for students through careful modeling and the belief that all children can learn and have the right to an equal opportunity to learn. 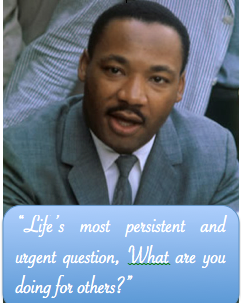 If Martin Luther King, Jr. were in our presence, his words (see above) would be the prompt for educators to reflect and question their motives for entering the profession. John Dewey said, “We do not learn from experience…we learn from reflecting on experience.” Let us honor the words of Martin Luther King, Jr. in a way that allows us to not only reflect on them but use his words to learn and lead students on the path to a quality education for all. At just what point in life do we recognize that our dreams can be captured, molded, and fashioned into something more than an abstract notion? While people from all generations dream, some see their dreams fall by the wayside, hampered by the twists and turns of life, while others witness the development of their dreams into realities. What determines which ones grow from seeds of an idea to fruition? Some think it is the resiliency of spirit that allows for the fruition of the dream. Others believe in a notion called grit. Walt Disney, the ultimate dream maker, said, “All our dreams can come true, if we have the courage to pursue them.” What can we learn from this magic maker who created an empire built on the dreams of childhood? Perhaps, it is a belief in positive energy that can take a dream to a new level, or Disney's ability to create possibilities while avoiding life's roadblocks. Open mindedness, steadfastness, and optimism must be present, but as Walt Disney added, "...It takes people to make the dream a reality." So with a dream and a team of dedicated moderators, NYEDChat has relaunched this year for New York State educators and those who wish to support our goals. With a variety of topical, relevant discussions and esteemed guest hosts, the dream is being transformed into a reality, the creation of a body of New York State educators with a unified, prominent voice on Twitter. The moderators, Bill Brennan, Blanca Duarte, Vicki Day, Starr Sackstein, Tony Sinanis, and Carol Varsalona, each with their particular interests and expertise in the field of education, are journeying together to raise the state status from an under-represented voice in Twitter's educational communities to one that is united and heard. "That's our wish. And is there enough magic out there in the moonlight to make this dream come true?" Yes, indeed, a vibrant magic exists in the power of a professional learning network. From voice to voice, connections grow to glowing portions, bringing power to the dream of a reflective, connected community, embodied under one hashtag, #nyedchat. The invitation to join NYEDChat is open to New York educators as well as those in other locales who are committed to providing students with the strategies and tools to become passionate, lifelong learners, creative problem solvers, and meaning makers of this decade. Enthusiastic speakers such as Dave Burgess, Peter DeWitt, Chris Lehman, Kate Roberts, Peter Catalanotto, Pam Moran, and Ira Socol, have committed to be guest presenters for the new year. 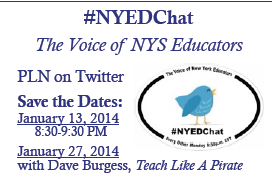 Please make the effort to sign on to #nyedchat on Twitter, Mondays at 8:30 pm EST. A preview of the January and February calendars is below. Teaching Reading in New York State: Where We Are Now, Where We Could Be? The Journey Begins with the Dream, the Team, and You! Yesterday, Twitter surfing was a fascinating venture of finding just the right links to gain knowledge and broaden my educational perspective. Continuing with my #nerdlution to grow as a learner, one tweet led to another, then to a blog, and so on - a continual cycle of learning. Facts and thoughts for future blogs, tweets, or training sessions became my treasure, while last minute links to multi-modal tools for young writers rounded off the experience. The word, dream, surfaced several times during the afternoon, allowing me time to ponder on that one little word. I was intrigued to note that January 13th was “Make Your Dream Come True Day.” Although I never heard of this event, I thought of those who have looked beyond their dreams for opportunities and open doors. Albert Einstein once said, "Nothing happens unless first we dream." Thinking back on Monday night’s experience as a co-moderator for #nyedchat, I reflected on the amazing conversations among educators from around New York State and Connecticut that led to the realization of a dream, to make NYEDChat a linked community of practitioners on Twitter and the voice of New York State educators. For me, this act of connecting with like-minded people to hone my craft as an educator became the benefit of joining the NYEDChat professional learning network. As with any fast-paced, engaging chat, tweeters popped in regularly while newbies slowly made their move into the threaded conversation led by co-moderator, Blanca Duarte, and me. Retweeting and greetings were handled by the moderating team of Bill Brennan, Tony Sinanis, and Starr Sackstein. It appeared that everyone enjoyed the new activity created for the chat, tagging one more voice to join the conversation. This hook became the highlight of the night when Tom Whitby and Chris Lehman, both recognizable names in the Twitter world of education, came into the house. The choir of many voices and the desire to link with others brought the vision of a connected community to life. At the end of the chat, the last NYEDChat moderator, Vicki Day, returning from a lengthy Board meeting, spent time post-convo archiving the chat with Storify so that all the tweeters could remember the event that rocked New York State ed world conversations. Needless to say, this chat broadened our membership to include more than the original dozen or so voices. On Monday night, the NYEDChat moderators found that beyond the dream lies the reality of New York educators freely conversing on educational topics, regardless of regional boundaries. 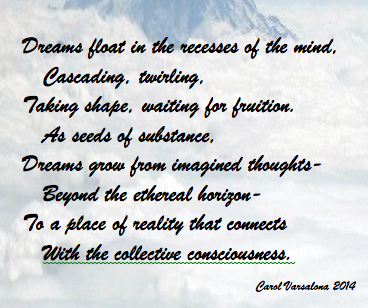 When we are dreaming with others it is the beginning of reality. 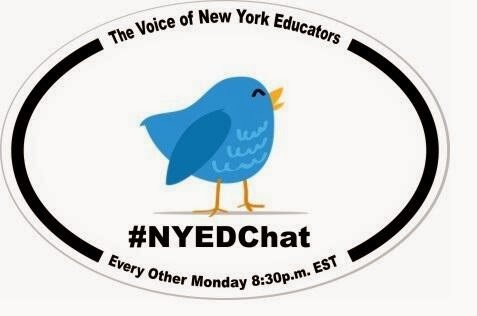 As we move into 2014, consider joining #nyedchat every other Monday night at 8:30 pm (or designated time for that session) to link with colleagues as we become the voice of New York State Educators. I, along with the other moderators, invite you to look beyond the original dream to the endless possibilities that await us, for in the horizon lies the reality of a connected educational community in New York State. 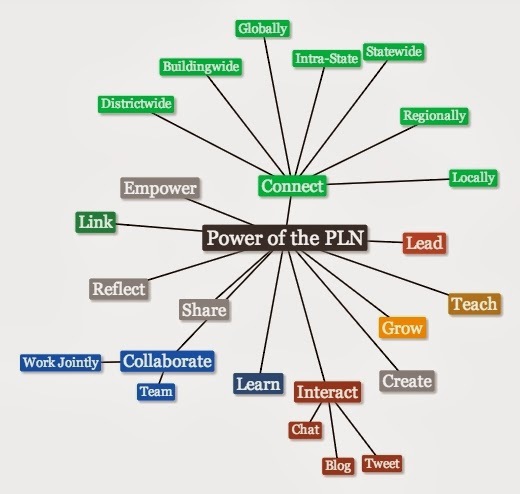 What is the power behind professional learning networks (PLNs) that are everywhere to be found on Twitter? The simple graphic organizer created using the tool, Text 2 Mind Map, forms the basis for a conversation, The Power of the PLN: Making NYEDChat the Voice of NYS, that will air on 1/18/14 at 8:30 pm EST. Tune into Twitter and search for the hashtag label, #nyedchat, to either join the conversation or listen to the exchanges. Kicking off the New Year with this topic is part of a campaign, to build a network of dedicated educators committed to impacting teaching and learning in New York State. The NYEDChat moderating team of Bill Brennan, Vicki Day, Blanca Duarte, Starr Sackstein, Tony Sinanis, and Carol Varsalona have been working on a variety of topics and inviting guest speakers to bring lively discussions to the NYEDChat learning community. Educators who involve themselves in online networking opportunities with PLNs find the experience worthwhile. The NYEDChat Moderating Team invites you to collaborate and learn with fellow educators every other Monday. We encourage you to tweet the information to others so that NYEDChat grows in numbers to represent New York State in the Twitter community of educators across the nation. The true power of the PLN is in its collaborative opportunities that shift mindsets and promote a collective consciousness. Are You Open to the Word Change?